Global notebook shipments for 2016 is estimated to decline by 4% compared with the prior year to around 157.9 million units, reports global research firm TrendForce. Laptop shipments will continue to fall next year. 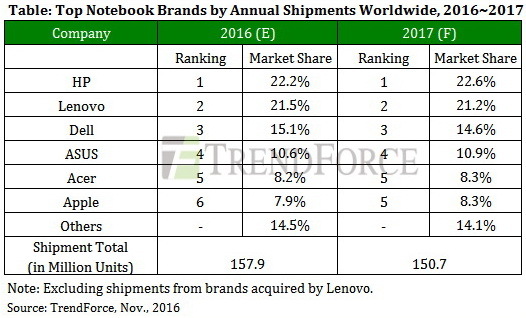 According to global research firm TrendForce global notebook shipments for 2016 is estimated to decline by 4% compared with 2015 to around 157.9 million units. Laptop sales have been constrained by rising prices and supply shortages in the component markets. Global notebook shipments for 2017 are projected to total 150.7 million units, representing an annual decline of 4.5%. TrendForce estimates that 28% of the notebooks shipped this year worldwide will have FHD or better displays. This is a significant increase in shipment share compared with 2015. However, high prices for FHD panels will limit the penetration of FHD notebook displays, TrendForce says. Using 15.6-inch LCD panel as an example, prices of FHD TN panels are 15-20% higher than prices of HD counterparts. Prices of 15.6-inch FHD, In-Plane Switching (IPS) panels are at least 50%, or even 100% higher in some cases, compared with prices of HD TN panels of the same size. 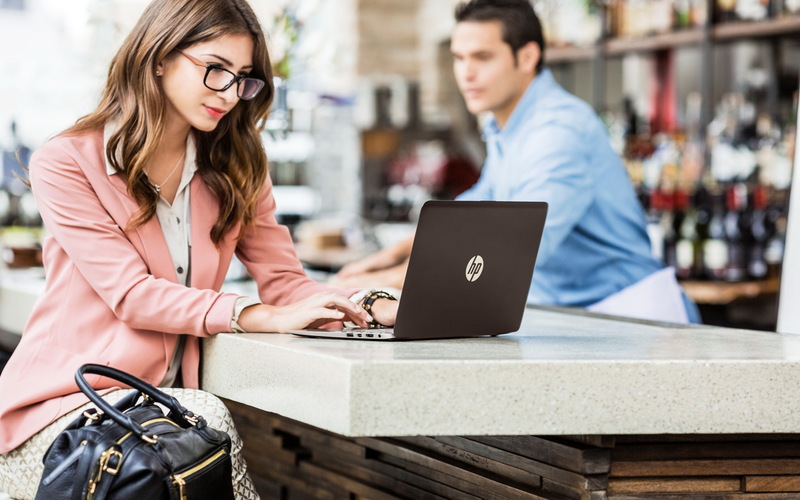 Looking at the notebook vendors, TrendForce pointed out that HP will continue to defend its market share during 2016 and 2017 at around 22-23%. Lenovo will stay behind with 21.5%, followed by Dell with 15.1%, Asus (10,6%), Acer (8,2%) and Apple (7,9%).